This clean tidy industrial unit is situated in the well-established industrial estate of Kunda Park. 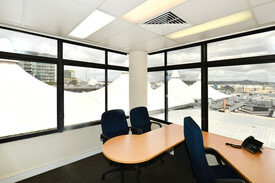 The property has easy access to Maroochydore Road, the CBD, Sunshine Coast Airport, Sunshine Motorway Bruce Highway. It boasts three phase power, high clearance roller door ceilings, internal toilet and installed security alarm system. The opportunities for this property are endless and it won't last long with sheds under high demand in the Kunda Park region. Contact Exclusive Marketing Agents Emily Pendleton or Michael Shadforth to arrange your inspection today. 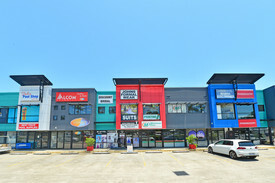 Private Waterfront Office.. Price: $541,000 + GST (if applic..
Upper Level Maroochydore .. Price: $380,000 + GST (if applic..
First Floor, Well Present.. Price: $220,000 + GST (if applic..